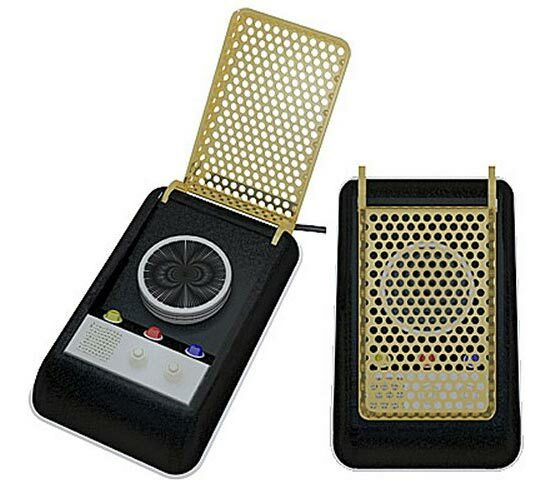 Here’s a fun gadget for all the Star Trek fans out there, a VoIP phone which looks like a Star Trek communicator. This fun gadget will come with a built in speakerphone, volume controls and of course a few Star Trek sound effects. The Star Trek Communicator will be compatible with Windows XP, Vista and OS X Tiger or higher, it will be available in April from Dream Cheeky, there is no word on pricing as yet.